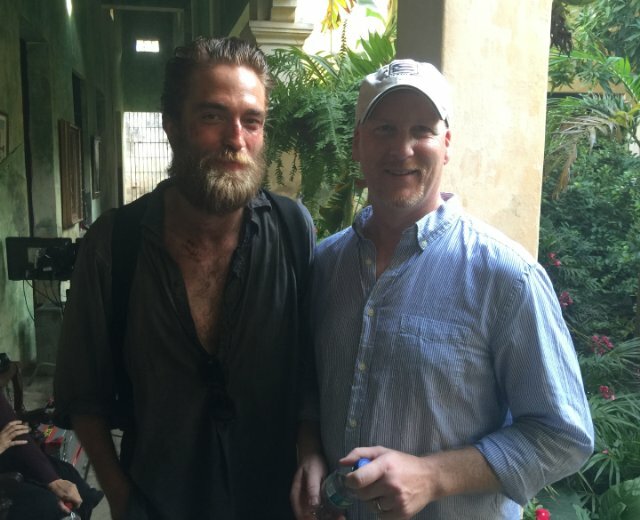 Check out this great new/old pic of Rob from The Lost City Of Z shoot in Colombia. The guy in the pic with him is Dale Johnson producer on LCOZ. Thanks Apsara for the find and Susie for the heads up!